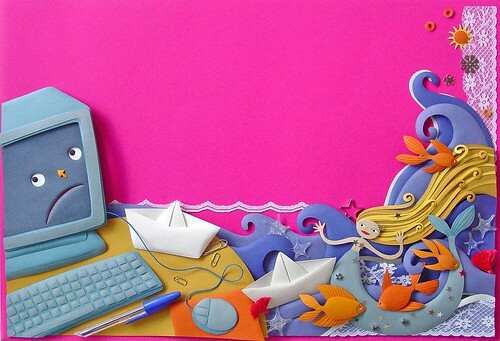 I think you'll enjoy this introduction to the playful, sculpted paper scenes that Patricia Lima creates for publishers of children's literature, textbooks and magazines, and also advertisers such as General Motors, Nestlé, Glaxo Smith Kline and McDonald's. There is much to see in each illustration and I can definitely understand the popularity of her work. 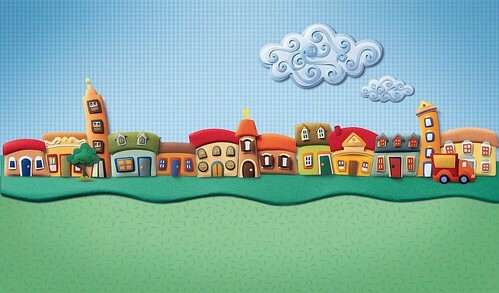 Children would be mesmerized by the colorful and seemingly tactile details! 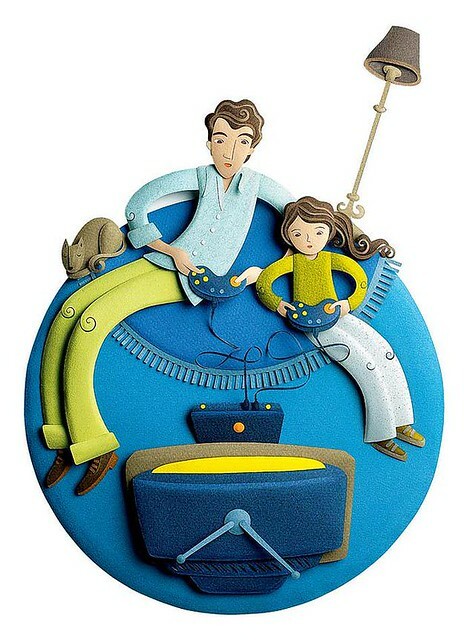 Patricia hails from Sao Paulo, Brazil and has worked for Brazilian clients as a digital, paper sculpture, and polymer clay illustrator for the past twenty years. She now lives in Toronto, Canada. I was curious to learn more about her work, so wrote to ask the following questions. 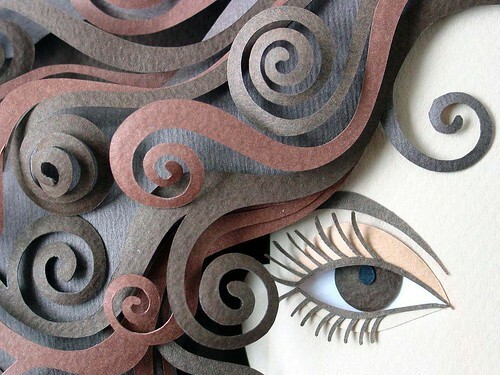 What prompted you to try your hand at paper sculpture? I started experimenting with paper cut-outs when I was at art school, inspired by Matisse. 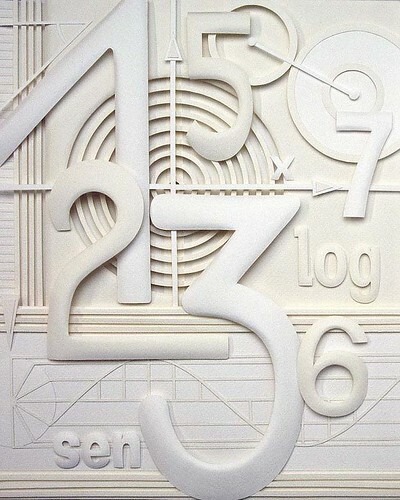 Soon, I added volume to my work and paper sculpture came naturally, becoming a passion. 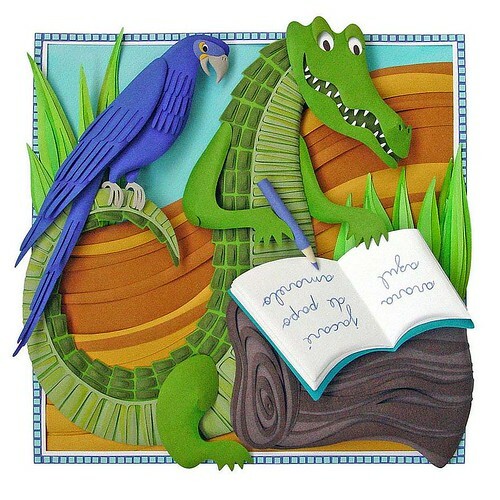 When you read a story that you will be illustrating in paper sculpture, do you create sketches first and go from there or do you start sculpting immediately? I always work with very detailed drawings because I like to know and I need to let my clients know precisely what the final result is going to be. Sometimes I even prepare a study of colors and textures in small scale and simplified shapes. When the time to start cutting the paper comes, all the creative part is done and I enjoy it as a manual craft that requires precision and attention to details. 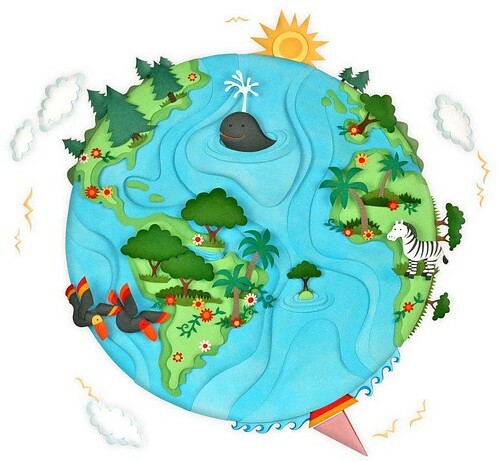 Do you have a favorite type of paper to work with for your illustrations? Favorite tools? Canson Mi-Teintes is definitely my favourite. It comes in a great variety of colours, has a beautiful texture and has perfect weight for modelling. For bigger pieces of paper, I use only my hands and for smaller pieces, I use metal ball point modeling tools. Do you send the actual sculpture to the client or do you photograph it and send images only? It depends on the client's needs. I can photograph, but this is not my specialty. A professional photographer has more resources and knowledge regarding lighting techniques and usually can get more deepness and texture, adding extra value to my work. Do you mainly work for Brazilian clients, but would like to expand your list to include Canadian and U.S. companies? I would love to have my work published in U.S. and Canada. This is one of my professional goals for the near future. What is your favorite type of art to do for pleasure? I love to work with my hands in a creative way, it doesn't really matter what I'm doing. Building sandcastles, baking cookies, doing crafts with my 7 year old daughter and working are all big sources of pleasure. 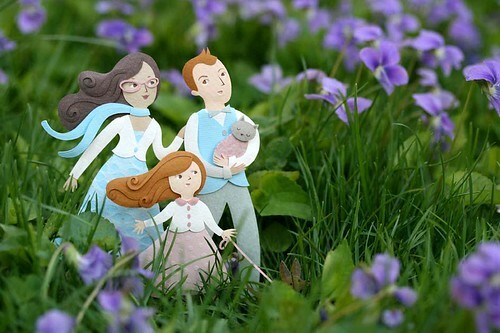 Recently, I’ve been working on small paper people and taking pictures of them outdoors. It has been really fun! I'm sending one of the pictures to you, I hope you like it. I imagine your daughter enjoys helping to create the scenes - nice! Thank you, Patricia. 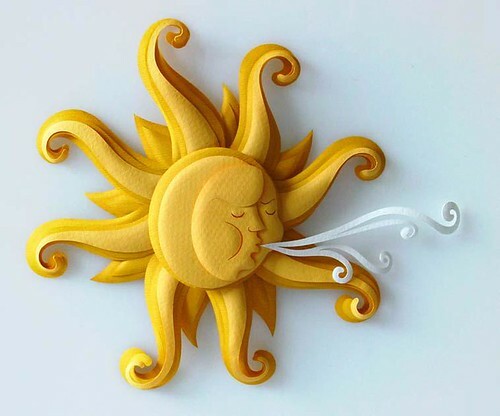 If you appreciate digital illustration and polymer clay art, visit Patricia's website where you'll find an appealing display of images very much like the ones in this post, but created in different mediums. I am in love with her work. The people scene outdoors is really fun. i love her work its the best! she is my mom its the daughter that is righting. I enjoy a lot your blog and it's a big pleasure to be featured here. Thanks also for the nice comments, specially to my daughter, that loves helping me in my projects and always encourages me. It was my pleasure, Patricia. Stay in touch! Brilliant work. I love her ideas and her technique!